Have you ever heard of Powersheets? But, boy was I wrong. You see, what has, and always, will make the Powersheets completely unique to the other products I mentioned above is the Cultivate What Matters Team. The prayers that surround every decision they make, the painstaking attention to detail, and the humble spirits with which they serve are evidenced in the Powersheets. 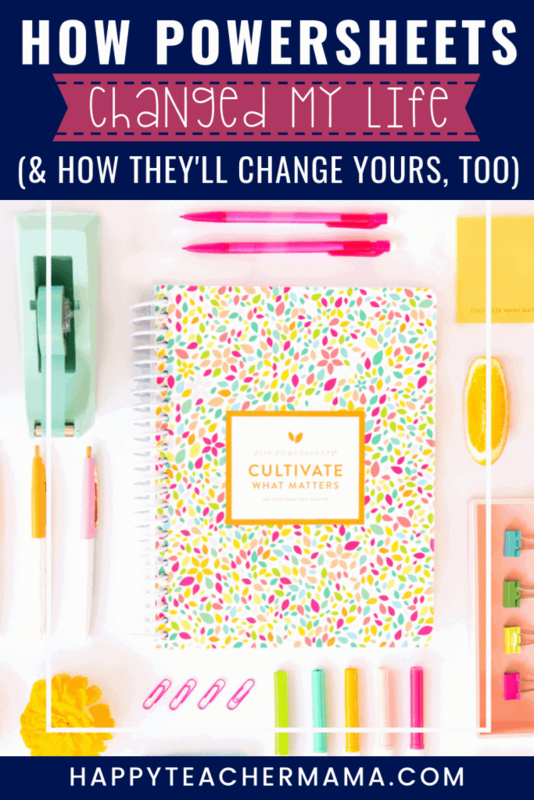 This resource was designed to help women (and men) of every age and season cultivate the most important things in their lives. And while I didn’t see that when I first heard of them those few years ago, I want you to understand how they have changed my life and the lives of so many others. This post contains affiliate links. If you click and make a purchase, I receive a commission. However, I ONLY recommend products that I love! For more information, you can read my full disclosure policy. Before, I tell you how they’ve helped me, I want to backtrack and tell you what they are. The Powersheets were designed by Lara Casey to help people uncover the most important goals in their lives. But, don’t worry, you don’t have to already know what you want when you’re 80. Last year, was the first time I used Powersheets, and I had no idea what I was doing. I just knew that some of my priorities were out of whack and I truly wanted to make forward progress in my life! In my opinion, this is the part that makes these so valuable. The Powersheets prep work, as it is called, consists of thought-provoking questions that reveal layer by layer things that you like about your life and things you have the power to change. When I received my first set of Powersheets, I was so excited I couldn’t stand it! I was ready to dive right in and make some positive changes in my life! So, I spent several days going page by page reading and answering those targeted questions. This led me to uncover things that I had never put into words. It was very freeing to see so many of my heart’s desires looking back at me from the pages of my Powersheets. Unfortunately, the prep work also revealed areas where I needed to make some changes. Honestly, it was very uncomfortable to face those parts of my life that I didn’t want to think about. Yes, it was emotional. But, my desire to get rid of the things that were weighing me down was greater than the feeling of discomfort I was in. So, I pushed through, and I’m so glad I did! Finally, upon finishing my Powersheets prep work, I had a crystal clear picture of what I needed to do moving forward with my life. It became obvious that when I’m 80, I want to be active, full of joy (regardless of the circumstances in my life), surrounded by friends and family who enjoy spending time together, and known for my love of Jesus. And, I desire that everyone in my circle of friends and family desires Jesus more than ANYTHING this world has to offer. That is the power of the prep work! But, honestly, that’s just the beginning! Once you uncover those BIG long-term goals, you then spend time deciding on the things you need to accomplish. In other words, those actions that will move you closer to your long-term goal(s). These become your yearly goals. 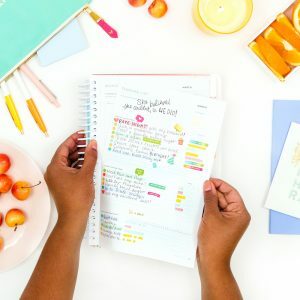 In my own life, as I began really fleshing out exactly what I wanted my yearly goals to look like, I discovered that I had several very unique goals. 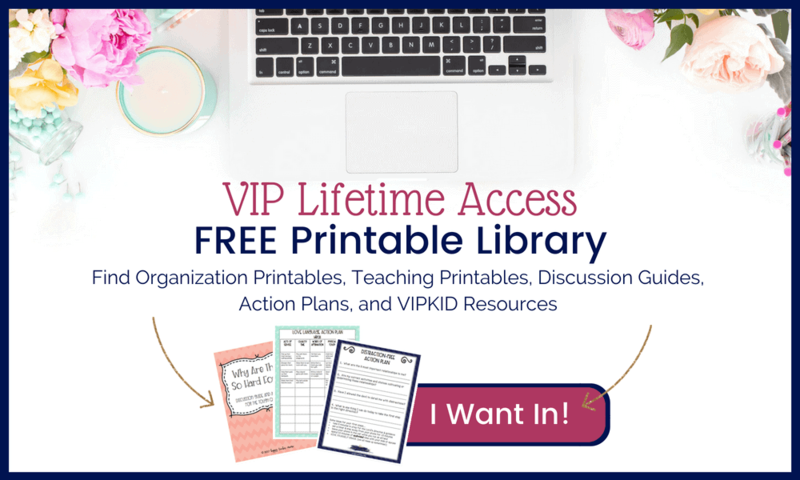 I had individual goals for our finances, our homeschool, my marriage, our home, my health, and the blog that you are reading! Of course, the “rubber met the road” when I took those lofty yearly goals and broke them down into manageable monthly, weekly, and daily goals. As I’ve looked at my daily activities through the lens of where I want to be when I’m 80, I’ve embraced a completely different perspective. In other words, it has been so much easier to say no to the unimportant things and yes to the things that truly matter. The last part of the Powersheets that I want to mention is thinking through how you plan to celebrate your accomplishments. I don’t know about you, but so many times I find myself simply checking off my goals without actually celebrating the big wins they represent. Obviously, we set goals with the intention of attaining those goals. But even if we don’t actually blow those goals out of the water, we can make great strides in the direction of our long-term desires. The most important thing to remember is that your daily choices either get you one step closer to your goals or one step farther away. But, Can I Do It? Do you know what you want your life to look like for you when you are 80? Do you want to cultivate the MOST important things in life? I genuinely believe you can find just as much success as I have found (if not more) in cultivating what matters with the Powersheets. No, they aren’t magical. But, they get you thinking about what you want in an effort to help you create tangible and attainable goals. I believe in the power of intentional goal planning because I’ve seen it work in my own life. That’s why, I would love for you to join me on this journey of cultivating what matters.